Astronomy. 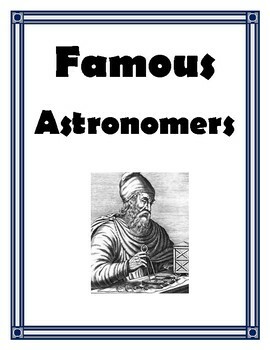 Famous Astronomers. History of Discoveries in Space Research. The Famous Astronomers Project gives students the opportunity to examine the significant contributions to Space Science made by famous astronomers. 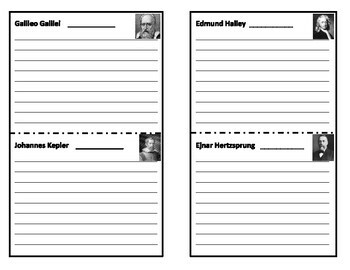 A fact-finding sheet for the famous astronomers is included with guided questions for organizing research. An answer key is provided for you. 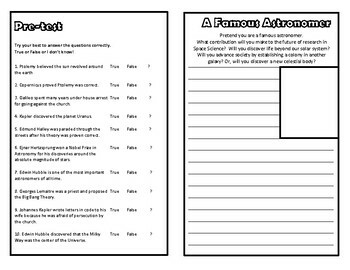 A booklet is also provided for students to write up their findings. 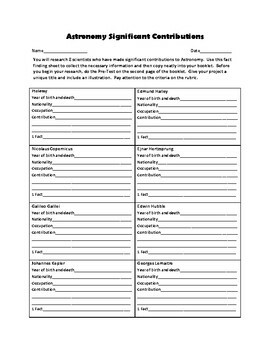 The booklet begins with a pretest to determine prior knowledge. On the final page, students have the opportunity to be a famous scientist and explain what contribution they will make towards the future of space exploration. A rubric for assessment is on the last page of the booklet.